When I have overnight guests I like to treat them to something special for breakfast. Usually that means I break out the cast iron skillet and fry some sausage, use the drippings for sausage gravy that is poured over buttermilk biscuits and served with some fried eggs and home fries. Guests from outside of Texas, or the South in general, are usually charmed to get a hearty, country style breakfast. 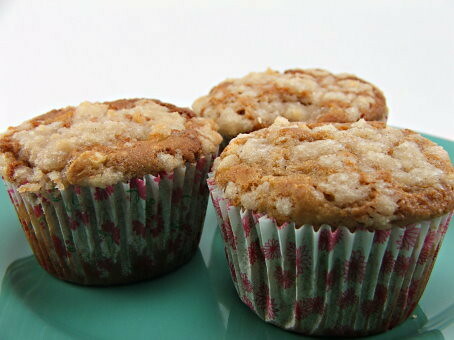 So, why apple muffins you ask? The husband of my latest guest is from the UK and is not terribly fond of cream gravy. In fact, he hates it. It is not his thing, and that is fine. It gave me an excuse to try out a recipe I had been kicking around in my head. 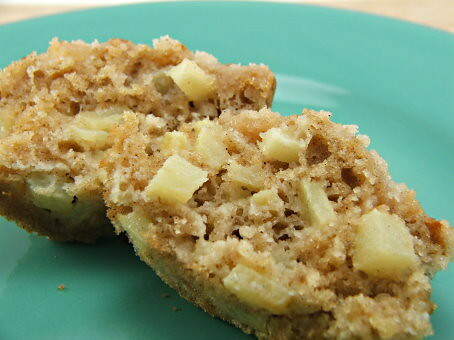 I had been wondering for a while how my Apple Cake would translate into muffins. I made a few modifications, added a crumble topping, and the results were wonderful! 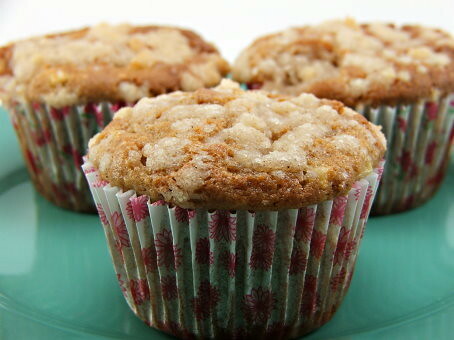 Moist muffins with lots of apple in them are the perfect breakfast or brunch treat. Heat the oven to 350 F and line your cupcake pans with paper liners, or spray with non-stick cooking spray if not using liners. In a small bowl make the topping. Blend the flour, sugar, and cinnamon in a bowl. 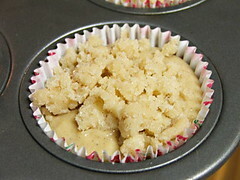 Add the cold butter and cut in until it forms a coarse topping. 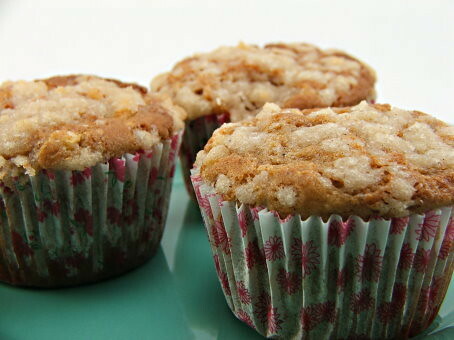 Put in the refrigerator while you prepare the muffins. 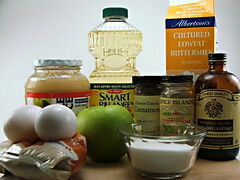 Blend the eggs, buttermilk, applesauce, oil, vanilla, spices, and both sugars until well combined. Mix the dry ingredients in a bowl then pour the wet ingredients over and stir to combine. 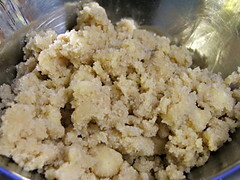 When most of the flour is moist add the diced apples and fold to combine, making sure to scrape the bottom of the bowl. 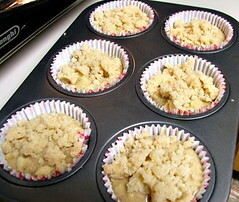 Divide the batter evenly between 20 cups then top each with the streusel. 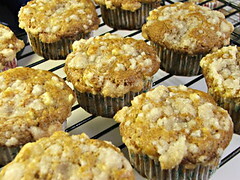 Bake for 20 to 25 minutes, or until the muffins spring back in the center when lightly pressed. Cool in the pan for 5 minutes, then transfer to a rack to cook. Enjoy warm, or store in an airtight container. They improve with time, believe it or not!